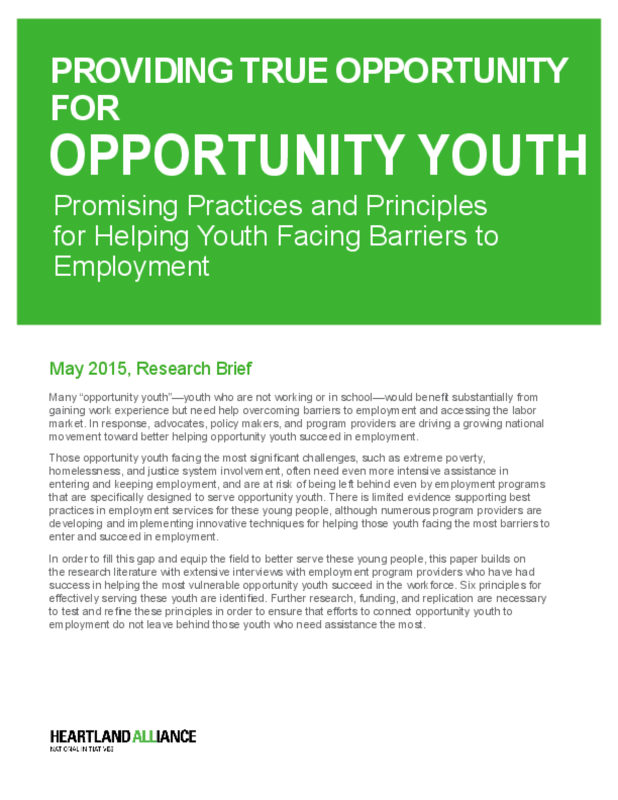 Many "opportunity youth" -- youth who are not working or in school -- would benefit substantially from gaining work experience but need help overcoming barriers to employment and accessing the labor market. Those opportunity youth facing the most significant challenges, such as extreme poverty, homelessness, and justice system involvement, often need even more intensive assistance in entering and keeping employment, and are at risk of being left behind even by employment programs that are specifically designed to serve opportunity youth. This paper builds on the research literature with extensive interviews with employment program providers who have had success in helping the most vulnerable opportunity youth succeed in the workforce. Six principles for effectively serving these youth are identified. Copyright 2015 National Initiatives on Poverty & Economic Opportunity.